After our Short Getaway Cameron Highlands on April 2016. The Cambodia “Khmer Civilization” was our next destination. This time, I have changed the way I write the posts. Instead of telling what we do in day 1 and day 2, I make it the Top 21 things that Shawn and Sherene do in Cambodia 2016. Check this out! For post “Top 8 flavour Food to eat in Cambodia – Shawn and Sherene” Click Here! This may seem pretty obvious at the top of any ‘must do’ list in Cambodia. 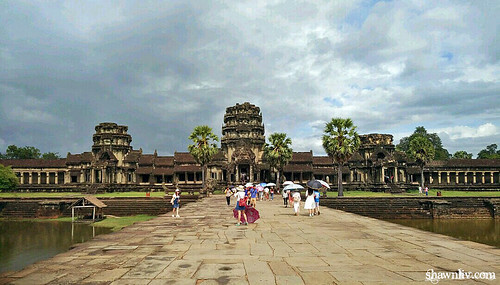 Angkor Wat alone justifies a trip to Southeast Asia. The largest pre-industrial city in the world at 400sqk, it is a UNESCO World Heritage Site. It was built in the first half of the 12th century (113-5BC). Estimated construction time of the temple is 30 years by King Suryavarman II. One of the highlight was the depict images of heaven and hell on the outer wall of Angkor Wat. 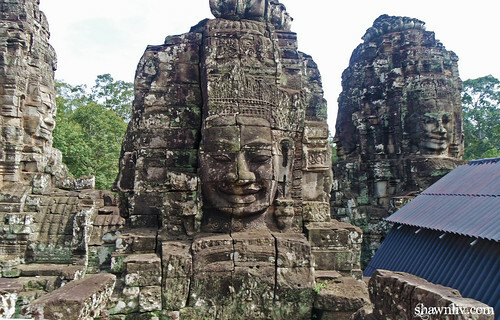 The Bayon was located at the centre of Angkor Thom. It was the state temple of Jayavarman VII and some of his successors. This temple is surrounded by a moat, and approached at the four cardinal points by statues of gods. In brief, the temple consist of 54 towers and 216 faces of Avalokiteshvara. This was one of my favorites photographing with so many faces around. Ta Prohm, of Tomb Raider fame and often referred to as the ‘one with the trees’, It still covered by the jungle and remain the same as they found it. 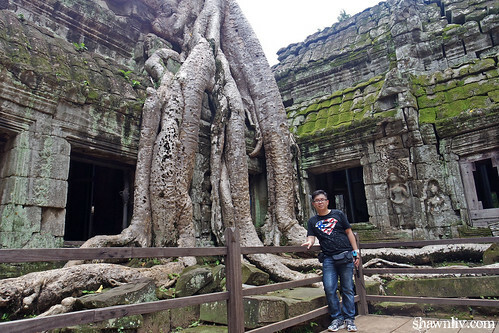 In short, Ta Prohm built by Jayavarman VII for his mother, and consecrated in 1186. It is estimated that at one time this vast 600-room monastery and the surrounding area had a population of over 70,000 people. The giant trees shoot through the tops of structures, while thick vines split walls in two. Both Tomb Raider and Indiana Jones Temple of Doom were filmed here. Angkor Thom dwarfs even nearby Angkor Wat. The city’s 7.5 miles (12 kilometers) of wall is ringed by a moat to protect it from further attacks. 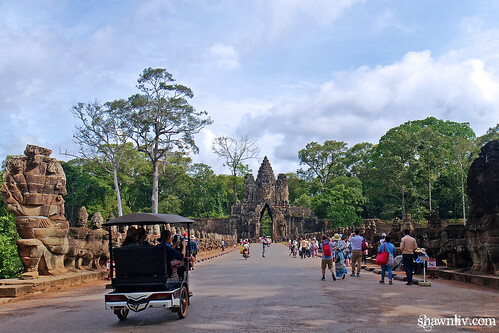 Enter to Angkor Thom via the southern gate as it’s in the better condition of statues. There are two sets of statues recreating a scene taken from the legend of the Churning of the Sea of Milk. To your left are gods and to the right demons, all dragging on massive naga balustrades. 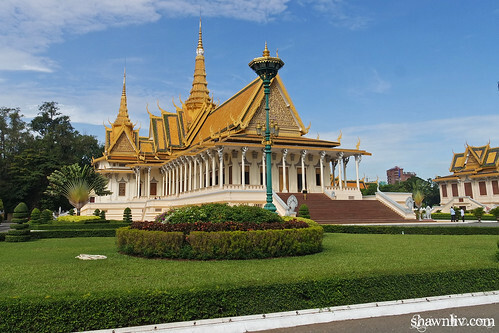 The Royal Palace serves as the residence of the King, a venue for court ceremony and as a symbol of the Kingdom. South of the Throne Hall are the Royal Treasury and the Villa of Napoleon III, built in Egypt in 1866. The king of Cambodia still occasionally resides in The Royal Palace (if the blue royal flag is flying, the king is in residence). Besides, the Silver Pagoda is free of charge, where visitors can see the collection of priceless Buddhist and historical object “Emerald Buddha”. Lake Tonle Sap is the largest freshwater lake in Southeast Asia. It provides half of the fish consumed in Cambodia. During raining season, the lake is filled by water flowing from the Mekong. And, the water flows out from the Lake to the Mekong, in dry season. The boat trip through the floating village explores the different of Khmer, Muslim and Vietnamese floating households and the floating markets. Please do more research before go. 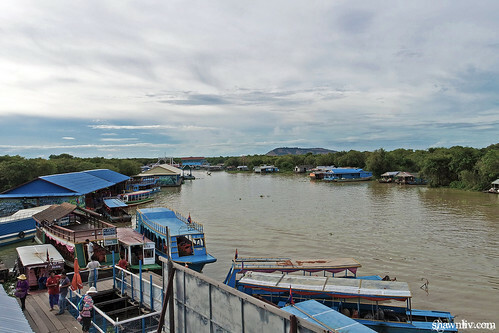 Many were caught in this orphanage tourism scam in Chong Khneas floating village. 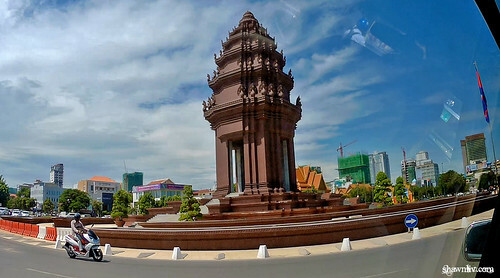 Walk or drive through Phnom Penh and look up this iconic landmark “Independence Monument”. Independence Monument was built in 1958 to commemorate Cambodia’s liberation from French rule. Locally known as Vimean Ekareach, it signifies Cambodia’s liberation from the French who have colonised the nation between 1863 and 1953. 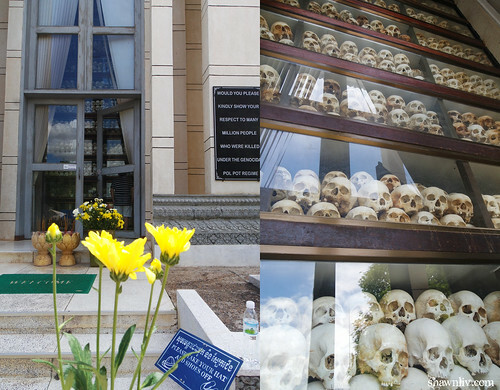 The Killing Fields or Choeung Ek Memorial is a bone-chilling reminder of Cambodia’s tragic history. Ultra communist Khmer Rouge Regime (UCKRR) converted Choeung Ek commune into the most cruel and barbaric killing field on earth. Mass graves were discovered after the Khmer Rouge fled the city, and about 20 thousand victims including diplomats, foreigners, intellectuals, officers, soldiers, farmers especially children and women were murdered there, nine of whom were Europeans. Toul Sleng S21 was once a high school that was transformed into a prison and torture chamber by the Khmer Rouge. S-21 administered by Kaing Guek Eav, a.k.a. ‘Duch,’ who is currently on trial for his actions at S-21. Over 17,000 people held at S-21 were taken to the extermination camp and only seven managed to survive following the end of the regime. 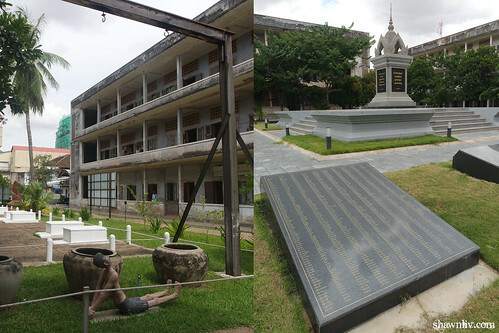 All in all, a visit to Tuol Sleng is a profoundly depressing experience. 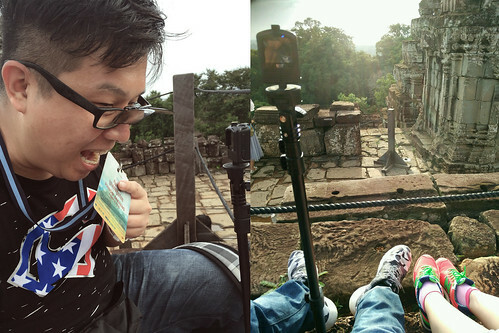 Bak Kheng Mountain is one of the best places to view sunset in Angkor. It is a Hindu and Buddhist temple in the form of a temple mountain. The site built at the end of the 9th century, during the reign of King Yasovarman, who reigned from 889 to 915. The site only allows 300 people on top at the time. Therefore, be there around 4.30 pm to take the badges to enter the site for the sunset. Catch a giant IBIS bus was one of the affordable options for travellers to get to many places in Cambodia. In brief, Giant Ibis Bus Service offers a variety of services that will appeal particularly to foreigners. They offer free WiFi, power outlets, a bottle of water and a pastry. Our trip from Phnom Penh to Siem Reap takes about 6 hours. The lunch stops at Banyan Tree restaurant on National Highway 6 near Kampong Thom was bad. The food is bland and slightly higher than other restaurants. Next Top 12 – 21 Click Here!